The Minister for Fisheries, Hon. Mao Zeming MP, has called on Sir Mekere Morauta to do the honourable thing and relinquish control of the PNG Sustainable Development Fund to the people of Western Province after yet another court ruling went against Sir Mekere. 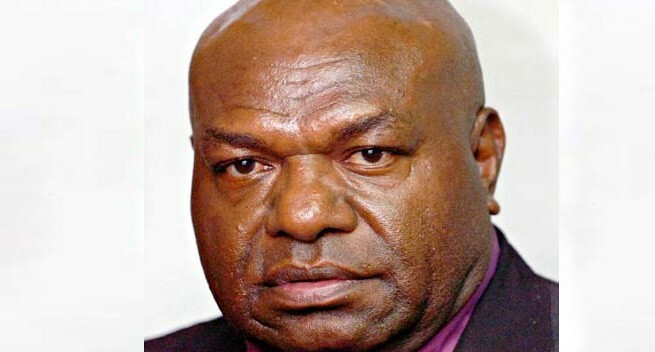 On Friday the Supreme Court dismissed Sir Mekere’s challenge relating to the government’s decision to acquire shares belonging to the PNG SDP. "The time has come for Sir Mekere Morauta to walk away from the PNG Sustainable Development Program and give the people of Western Province access to their money,” the Minister said. "Mekere has again been shown the door in the Papua New Guinea Supreme Court and continues to lose cases before the Singapore High Court. "There has to be a time when Sir Mekere admits that he has no claim over these billions of Kina belonging to the people of Western Province. “This money has to be given to the men, women and children of Western Province. "PNGSDP ceased all development projects three years ago, before moving its operations offshore, where it continues to incur millions of dollars on administration, legal and professional fees. “This is all money that could be used for development projects that will directly help the people of Western Province. “In the latest Supreme Court ruling, Sir Mekere’s application was described as incompetent and an abuse of the process of the court. “Mekere is a former Prime Minister and he should behave with the dignity that is expected of someone who once held the highest office in the land." Minister Zeming said a massive change in attitudes is taking place around the nation in respect accorded to the rights of landowners, and this must take place in the PNG SDP. "Last week the Prime Minister stood up in Parliament for the interests of the landowners of Western Province and other areas where resource development activities are taking place around the country. “As PM O'Neill said, for too long the rights of landowners had been ignored, and this is now changing. "The Government will not let up in its efforts to regain rightful oversight and control of PNGSDP and its assets. “The State will continue to pursue the Singapore High Court action against PNGSDP to ensure that the interests of the people are safeguarded,” Minister Zeming said.